Over time, Coffee News® receives countless testimonials from our advertisers. Really too many to list them all here, but below are just a few. 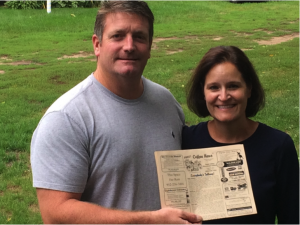 Follow the lead of these business owners who are realizing the full benefits of advertising in Coffee News®! Coffee News® is an awesome source of advertising. I own a handy man company that I had advertise through Coffee News® . The response was amazing. We have received so many calls through Coffee News® that it has far surpassed anything I had expected. It is the only form of advertising I use for my company. It is affordable, effective, it keeps my phone ringing and my week full and people see my message everywhere. The staff at Coffee News is professional, their creative team is excellent. I would recommend Coffee News® to anyone who wants to get their message out and create business. “PHENOMENAL! !” That is the only word I can use to describe the response I receive to my ad in the Coffee News® on a weekly basis. Continually, week after week, the phone rings with new clients for my services. Almost all calls begin with them saying “I saw your ad in the Coffee News®. The rates per insertion are reasonable. I have no problems with the service if I want to change the ad to read something a little different. Whenever I need him, my representative is right there at the other end of the phone, or often in person, just to check up. Exceptional response, great rates, fantastic service.… in a word..PHENOMENAL! !” Thank you so much for all that you have done, and I look forward to many years of business together. I started my business about a year and a half ago and I was looking for a way to advertise affordably; I came across the Coffee News®. I noticed there was ad space available. I contacted Coffee News® at the end of November 2008 and found out what the cost was (very affordable) and learned that if I advertise with Coffee News® no one else that has the same type of business as mine can advertise as long as I am with Coffee News® . I thought this is the way to go. So far 100% of the people who have contacted me through the ad have become a client and I couldn’t be happier.